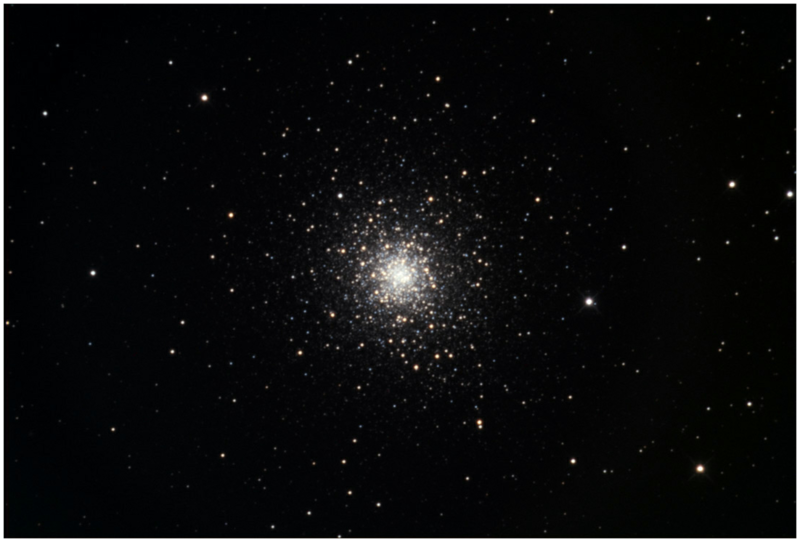 This globular cluster in the constellation of Hercules is approximately 25,000 light years from the Earth and is estimated to contain approximately 330,000 stars. 20 minutes of Luminance through Luminance filter, 1x1 binning. 20 minutes each of Red, Green and Blue, 2x2 binning.